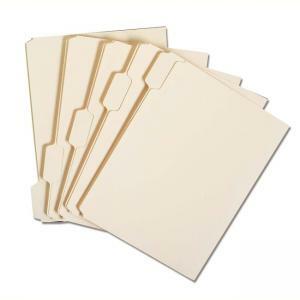 File folders are made of durable, 11 point stock containing 30 percent post-consumer material. The bottom of the folders is scored for 3/4" expansion. Top-tab positions fit any vertical or lateral filing system. 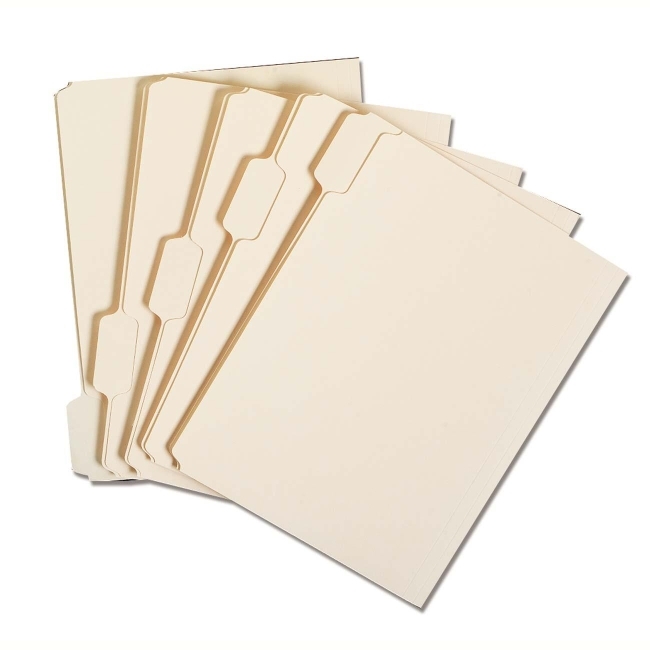 Ideal for everyday filing needs.